Almost half of all those who have multiple sclerosis are on some type of disability and many who have MS are unable to fully function in their life and have a high quality of life. Multiple Sclerosis can cause numerous symptoms from muscular and joint pain, nerve pain, whole body stiffness and tension, weakened muscles, fatigue, low energy, cognitive difficulties, tingling, numbing, tremors, issues with mobility, balance and coordination, and so much more. The good news (and yes there is good news) is that MS symptoms can be successfully managed using wellness therapies such as Yoga, Yogic Stretches, Yogic Breath Techniques and Meditation. In this online course, all of these techniques will be taught. Many with MS have difficulty leaving the home to participate in yoga classes that are at a minimum 1 hour in length. This course is online so students can take the course from home and it is structured so students only have to participate 10-20 minutes at a time. The online course can be completed in 4 months but students can take as much time as needed to complete the course. This Yoga for Multiple Sclerosis online course includes video tutorials, video presentations, modification videos, course content, weekly practice plans, a downloadable 50 page how-to yoga handbook, downloadable track/schedule, downloadable progress sheet and a downloadable 8 week post course yoga plan. The instructor and yoga therapist for the course, Juanita Street, was diagnosed with MS in 2013. She is also a 200 hour level 1 certified Yoga Instructor (certified in 2003) and a certified Health Coach. She used to work in a medical clinic as a Yoga Therapist alongside physicians. For more information, check out our FAQ section below. Also to contact the instructor, email: info@streetcoachinggroup.com. Juanita is a 200 hour certified Level 1 Yoga Instructor, an experienced Yoga Therapist and a certified Health Coach. Juanita started her yoga practice working in a medical clinic in Centennial, Colorado, partnering with physicians and physician assistants in the treatment of patients and their chronic illnesses using yoga therapy, meditation and yogic breath therapy. 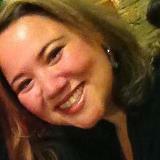 Juanita also earned her MBA in Health Administration degree from University of Colorado Denver in 2010. She has coached clients on health and wellness since 2005. Juanita has used lifestyle and wellness therapies (including a clean eating diet, yoga, yoga therapy, fitness, meditation, yogic breath techniques, and art therapies) to heal and successfully manage her PTSD, chronic pain after an auto accident in her late twenties and multiple sclerosis (diagnosed in her early thirties). Juanita believes she has experienced psychological, physical and neurological sickness her whole life for a reason, "It's difficult to understand and help those who are sick, unless you've been sick too. I needed to heal myself first so as to understand how to heal and help others improve their health and achieve a high quality of life." Do I need clearance from my physician to participate in this program? Anytime you start an exercise program, even if it's a beginner and/or a restorative yoga program, you will want to get clearance from your physician and/or neurologist before getting started. If someone has a recent injury or is recovering from surgery, can they take this course? Unfortunately No. Even though the course is structured for therapeutic purposes, any stretches and/or yoga immediately following an injury and/or surgery can lead to further problems and additional injuries. Always consult your physician to make sure you are able to participate in a yoga course (even yoga courses that are restorative and therapeutic). SCG online courses are accessible on the computer, laptop, tablet, smartphones and smart TV. No software is needed - SCG is online. What is needed is a high speed internet connection for video playback. There are no textbooks for the course. All the content is within the course. This online course is a self-study program. The course materials and videos are all pre-recorded so students can start at anytime. There are no pre-set start times. The course takes 4 months to complete, but students have access to the course as long as students continue their monthly or annual subscription. How is the yoga taught in this online workshop? What are the different tools used to teach the course? A combination of video instruction, presentation videos, modification videos, downloadable handouts, course content/text, and weekly practice plans are used to teach yoga. Is there a web browser that works better than another. I am having trouble logging into the course and using my Promo code. Unfortunately not all web browsers work with our online courses. The best web browser to use is Chrome and Safari. Another tip is to edit your pop-up blocker features on your web browser. If the pop-up blocker is on, the Redeem Coupon pop-up will not appear. What materials do I need to take this course? A computer or lapbtop, smartphone, smart TV or tablet for accessing the course. A high speed internet connection helps since there are a lot of video tutorials, video presentations and modification videos in the course. Also a yoga mat, yoga block, a yoga belt and a thick/dense foldable blanket. Are the videos, course text and handouts downloadable? The handouts are downloadable. The course text/content and videos are not. If I have any concerns or questions while taking the course, how do I contact the instructor? Email: StudentServices@StreetCoachingGroup.com and in the subject line write: Yoga for MS Course Question. The course is structured to be completed in 4 months. But students have access to the course as long as students continue their monthly or annual subscription. Can I receive a yoga teacher certification after taking this course? No. This is not a teacher certification course. I am in a wheelchair. Can I take this course? Unfortunately, this Yoga for Multiple Sclerosis online course is not structured for individuals in wheelchairs.